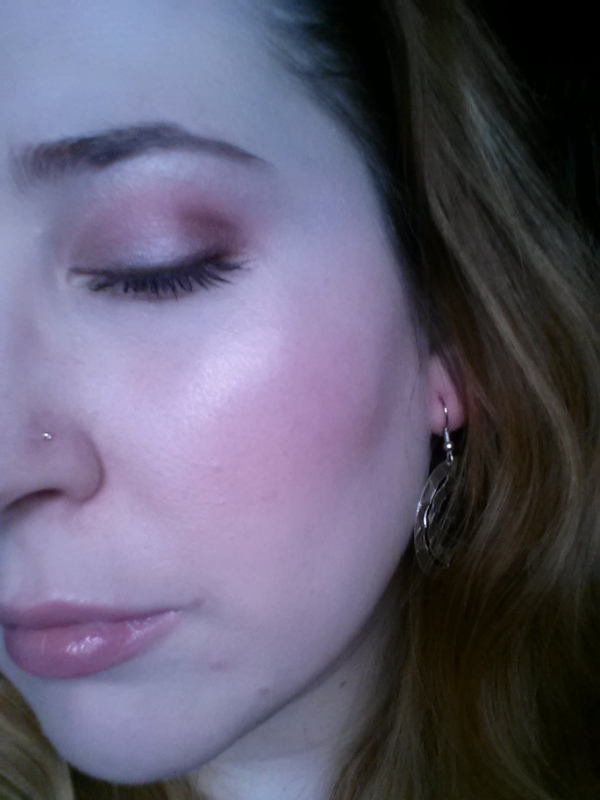 Deidre's Discoveries: Valentine's Day Look - CBB Theme of the Month! 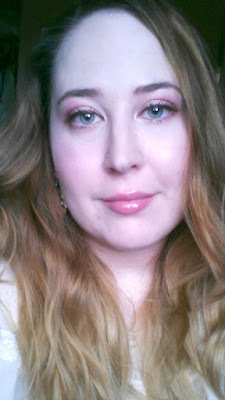 I'm a part of the Canadian Beauty Blogger network, on Facebook and through their directory. We're just a bunch of beauty bloggers who all live in Canada and get to share our blogs with one another. Each month we vote on a theme of the month, and brand of the month. For February, the theme chosen was Red, Pink and White. Seeing how Valentine's Day also falls in February, I decided to create a valentines look using mostly Pink and White colours. I went back and added stars to the colours in the palettes that I used. 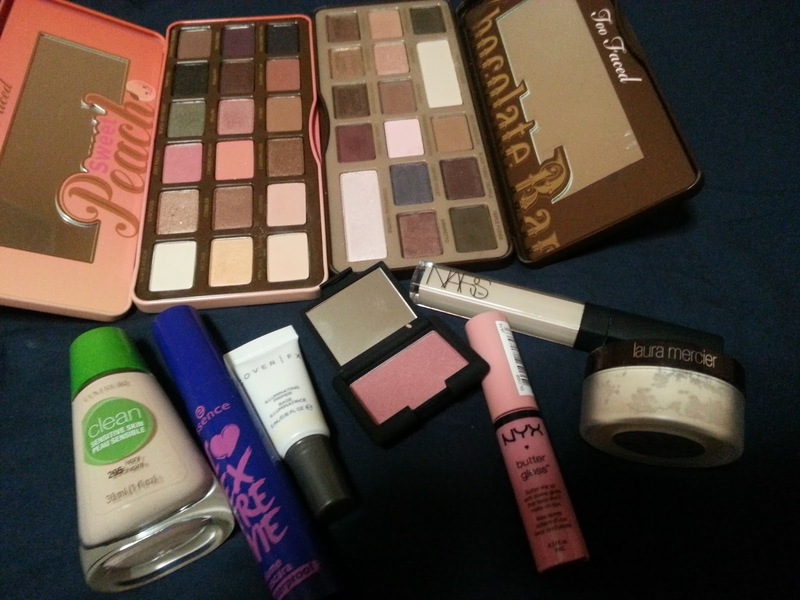 The next picture will be of my eye look, and I will explain better in detail what I used, and where! I mostly used the Chocolate Bar palette to create this look, but you can use anything with pink, brown, and white shadows. 3. Then I used Just Peachy (yellow star) from the Sweet Peach palette, just to make the crease look a little more pink. The Strawberry Bon Bon wasn't as pink as I would have liked.. but that's okay, that's why we added just peachy! 4. Then, I placed Champagne Truffle (green star) from the Chocolate Bar palette, all over my lid, and under my brow. I also used this to highlight my face! 6. And to complete the look, I used Triple Fudge (orange star) as my liner. I wanted something a little softer than the usual black liquid liner I use. 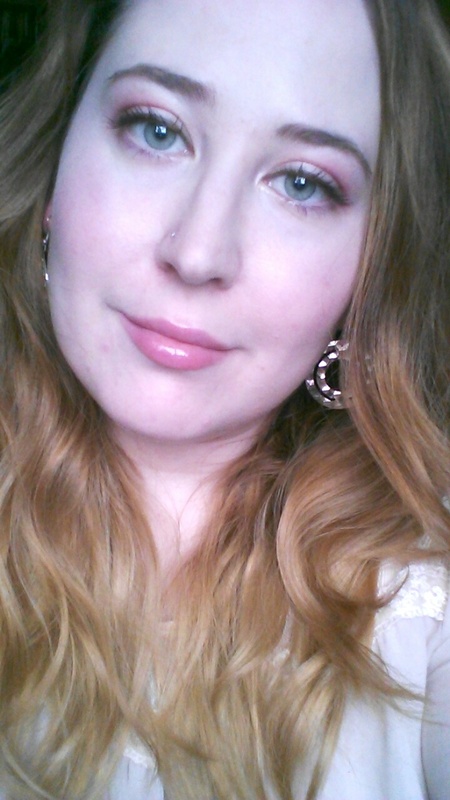 I felt using a brown eyeshadow would keep the look a little softer. Like I mentoned above, I ended up really liking how this look turned out! Soft, and pink... perfect for Valentine's Day! You could also darken the lower lash line, and a little more in the outer v for a night time look! I decided to pair it with the NYX Butter Gloss because it was more natural looking, I wanted the eyes to be the main focus!